Many who reach the age of 50 and beyond aren’t looking forward to a rocking chair and a life of endless TV programming. They would like to stay on the job and work indefinitely. But ensuring they can isn’t always so simple. 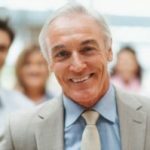 No matter how much experience they’ve gained, how secure they are within their organizations and how up to date they’ve kept their skill sets, they face a world in which ageism is a very real threat to their employability. Released earlier this year, the AARP study found 15 percent of workers ages 45 to 74 are self-employed. What’s more, 10 percent of current wage and salary workers report they intend to launch a business once they retire. Over the past decade and a half, the age bracket that has witnessed the largest growth in entrepreneurship is the cohort of 45-to-64-year-olds, reports AARP financial security and workforce expert Jean Setzfand. “There’s a positive growth trend in this age group; in all others it’s flat or negative, ” she says. Of this older group of self-employed people, the average age is 57. They are overwhelmingly married or living with a partner (78 percent), and a bit more likely to be male than female (53 versus 47 percent). Almost one in three (30 percent) started their own business due to job loss. 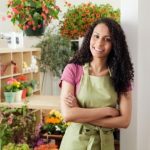 More than four in five (83 percent) have businesses that employ fewer than 10 workers, and on average, those 45 to 74 have been self-employed for almost two decades (19 years). People who choose self-employment are more likely than regular wage and salary workers to cite a flexible schedule, the chance to work at home, part-time work and the opportunity to pursue their dream as elements of an ideal job, the survey found. They are also more likely to say their job is an important part of who they are, and that they still have a lot to accomplish in their careers. And they’re less likely to report they plan to retire in the next few years, or that they work only because they need the income that employment delivers. I recently had the opportunity to speak with a trio of people who launched their companies after the age of 50. That they had a number of traits in common shouldn’t be surprising. To my mind, the most important of those characteristics was that none of them were the type to look forward to retirement. If anything, these people abhorred the idea they should sit back and take it easy. One of them, who started a computer consulting business in 2000 at the age of 54, told me he believed were he to retire he’d probably be dead in six months, “just from boredom.” You’ve got to have a challenge to look forward to when you get up each morning and goals to anticipate in the future, he said. “If you’re not learning and growing, you’re dying a slow death, ” he added. If you’re an older adult who would like to be running his or her own show, do your homework first, Setzfand says. Write a business plan. Research your market. And put a lot of thought into how you plan to fund the business. She doesn’t recommend tapping your own hard-earned retirement savings to launch your start-up. Most people nearing traditional retirement age are not putting all or most of their money into small-cap investments. “So why place all your money into one small-cap investment, your own?” she asks. And there is one final thought you might keep in mind. We live in an era in which colleges teach entrepreneurial skills, small-business incubators are filled with 20-somethings launching companies and cities strive to lure young entrepreneurs to relocate to their communities. 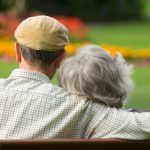 On the other hand, the entrepreneurial older adult has decades of experience, and in addition has absorbed myriad lessons in the school of hard knocks along the way. In this age of the entrepreneur, let’s not discount the age of the entrepreneur when weighing his or her potential for success. Just starting is the biggest thing. Most individuals entrepreneurial goals don’t take much to start (tops a couple hundred bucks), yet are never started. My biggest suggestion is to just start doing something towards that goal and commit all of one’s energy towards it. Consistency is huge as success won’t come over night. I think the post just goes to prove, its never too late to do something about those nascent dreams people harbour all their lives and put them on hold for one reason or another. As you point out, older people have the advantage of wisdom gained over many years and the patience to see their businesses through and in my opinion makes them formidable entreprenuers.